A program featuring works by Wolfgang Amadeus Mozart! 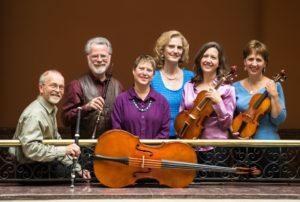 The WolfGang’s members are Paul Jacobson, flute; Stanley King, oboe; Mary Sorlie, violin; Jennifer Kalika, viola; Laura Handler, cello and Gail Olszewski, fortepiano. We play classical music on classical instruments. As our name suggests, we play music composed by Wolfgang Amadeus Mozart, but we do not restrict our selections to just his music. Compositions of his contemporaries – sometimes new discoveries – are also part of our programs. You will hear us present music by Johann Christian Bach, Carl Philipp Emanuel Bach, Wilhelm Friedemann Bach, Ignaz Jacob Holzbauer, Karl Philipp Stamitz, F. X. Sussmayer, Franz Joseph Haydn, Jacques Christian-Michel Widerkehr and Ludwig van Beethoven, among others. Tickets available at the door $15 the day of concert. "A Night at the Jazz Club"
Croatian pianist, Konstantin Krasnitsky will be visiting the United States in March for a residency with University of Wisconsin-River Falls. He will be traveling with Croatian composer Davor Bobic and they are both scheduled to be the distinguished international guests for the University's Piano Festival and Competition scheduled for March 14-16, 2019. ​Mr. 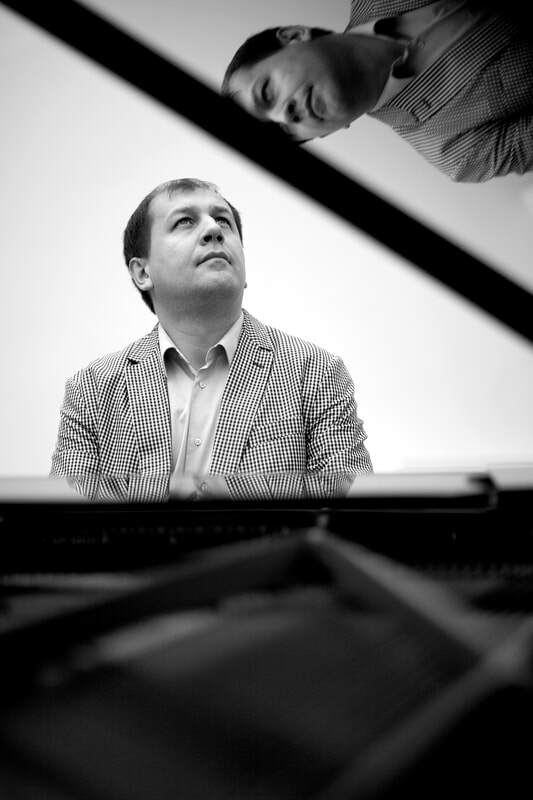 Krasnitski will perform piano works by Sergei Rachmaninoff. ​Aaron Moen is a landscape and wildlife artist from Hastings, Minnesota. FluteSpiration is a professional flute ensemble dedicated to high quality chamber music performances for all types of audiences. With an exciting synergy of sound, FluteSpiration presents innovative programs for concerts and for community and educational events. 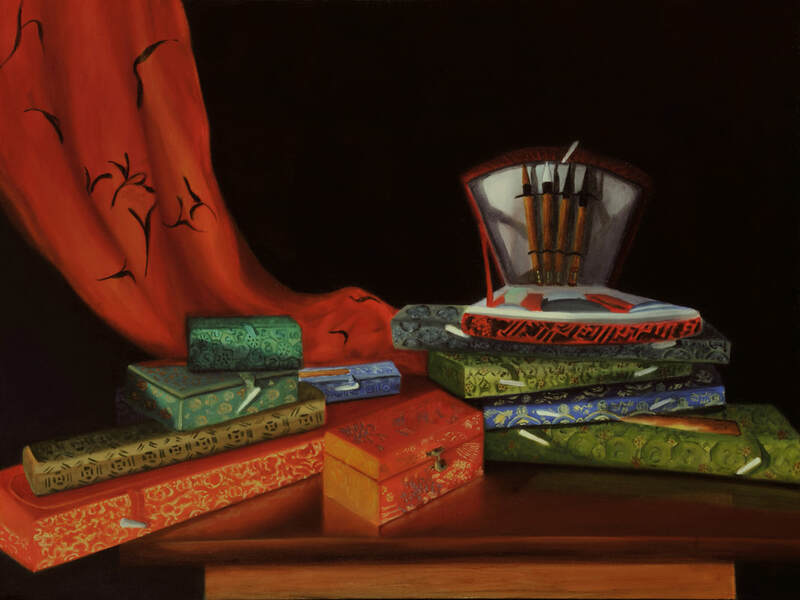 Drawing from repertoire covering a rich diversity of styles—Classic masters (including Mozart, Bach, Beethoven), French virtuosic literature (including Debussy and Rameau), Opera selections, popular music, Irish/Celtic favorites, Latin dances, Sacred, Ragtime, Jazz, Holiday— there's something for everyone and for every occasion. Returning to the HAC Stage, Minnesota based bluegrass band, "Double Down Daredevils" will be playing Bluegrass and Americana music with a special emphasis on 2, 3 and 4 part vocal harmonies. Please join the "Double Down Daredevils" on this mid-winter's night and chase away the winter blues with their bluegrass, old tyme and gospel music. Traditional tunes and original tunes throughout the night. Online tickets for adults available by clicking below. $15 plus ticketing fees. Our free Tuesday Coffee Concerts continue in 2019 with Jen Gerth, Susan Janda and Mindy Eschedor sharing music for piano, viola & clarinet. A wonderful trio! Yes, you read that right! Sunday Coffee Concert! 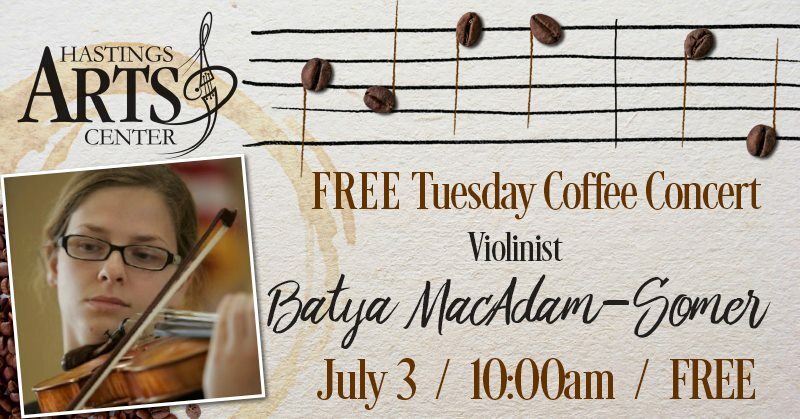 Even though it's not a Tuesday, we are offering this Free Coffee Concert before the Super Bowl festivities! Don't worry, the concert will be over long before the big game! Please come and enjoy! You won't want to miss this! KAREN HUGHES BEACOM--With a voice and stage presence described as “warm and lyrical with a lot of dramatic power” by the Omaha World Herald, Karen Hughes Beacom has made a name for herself on the opera and concert stage. A Metropolitan Opera National Council Regional Finalist, her career has crossed borders, with international performances at the Forbidden City Concert Hall in Beijing, China as the soprano soloist in Bach’s Mass in B Minor with the Tianjin Symphony and as the Countess in Le Nozze di Figaro under the baton of Joseph Rescigno in Novafeltria, Bellaria an Sant’Archangelo, Italy. Karen performs regularly with the Sault Symphony in Ontario, Canada, with recent solo appearances in Beethoven’s 9th Symphony, Handel’s Messiah, Mendelssohn’s A Midsummer Night’s Dream, and Orff’s Carmina Burana. This versatile soprano has performed the roles of Rosina in The Barber of Seville, Donna Anna in Don Giovanni, Countess in Le Nozze di Figaro, Mimi in La Boheme, Rosalinda in Die Fledermaus, Pamina in The Magic Flute, Fiordiligi in Cosí fan tutte, Alexandra in the world premiere of O Pioneers!, Cio-Cio in Madama Butterfly, and Micaela in Carmen, among others. 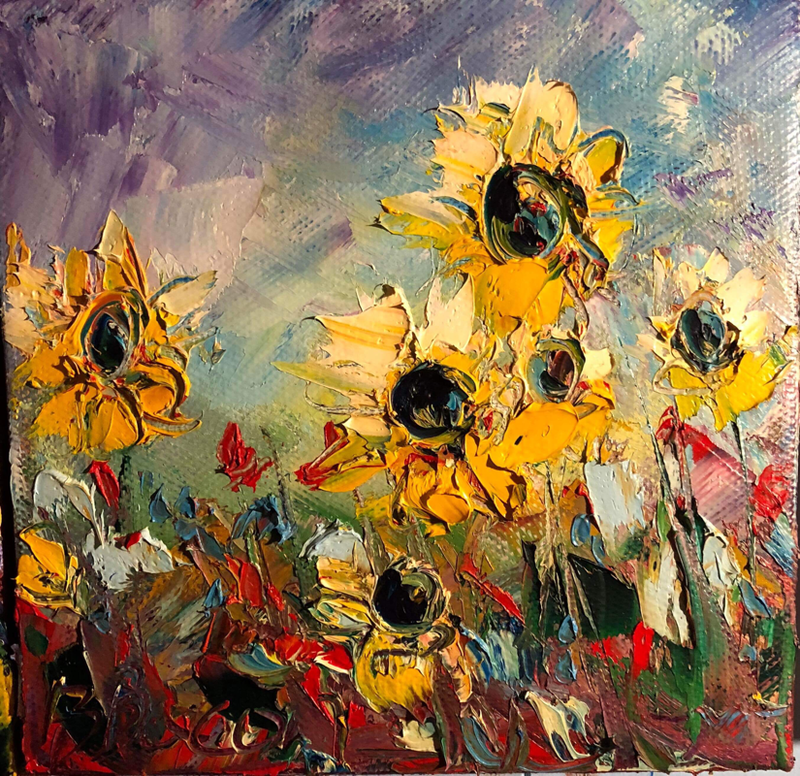 Her opera credits include Des Moines Metro Opera, Utah Festival Opera, Opera Omaha, Sun Valley Opera, DuPage Opera Theatre, Chautauqua Institution and as resident artist for Soo Opera. Karen is the principal harpist for the Sault Symphony and has played with Traverse Symphony, Marquette Symphony, Gaylord Chamber Symphony, Great Lakes Chamber Orchestra, Terre Haute Symphony and more. A frequent recitalist, Karen has performed on the Music at Central Series, Mackinac Arts Council Classical Artist Series, Music at Central Series in East Lansing, MI and in nearly a dozen performances of Mike Dempsey and Friends here at the Soo Theatre, as well as in Bloomfield Hills, MI. Karen has also appeared with the Summit Choral Society in Akron, OH, the Nebraska Choral Arts Society in Omaha, Nebraska and recorded backup vocals on the Mannheim Steamroller album Christmas Extraordinaire. Karen has accompanied The Ceremony of Carols on harp for the Algoma Chamber Singers in Ontario under the direction of Patty Gartshore, as well as the Methodist Church in Mt. Pleasant, MI under the direction of Casey Robards. In addition to performing, Karen is the founder and artistic director of the Soo Opera in Sault Ste. Marie, Michigan. 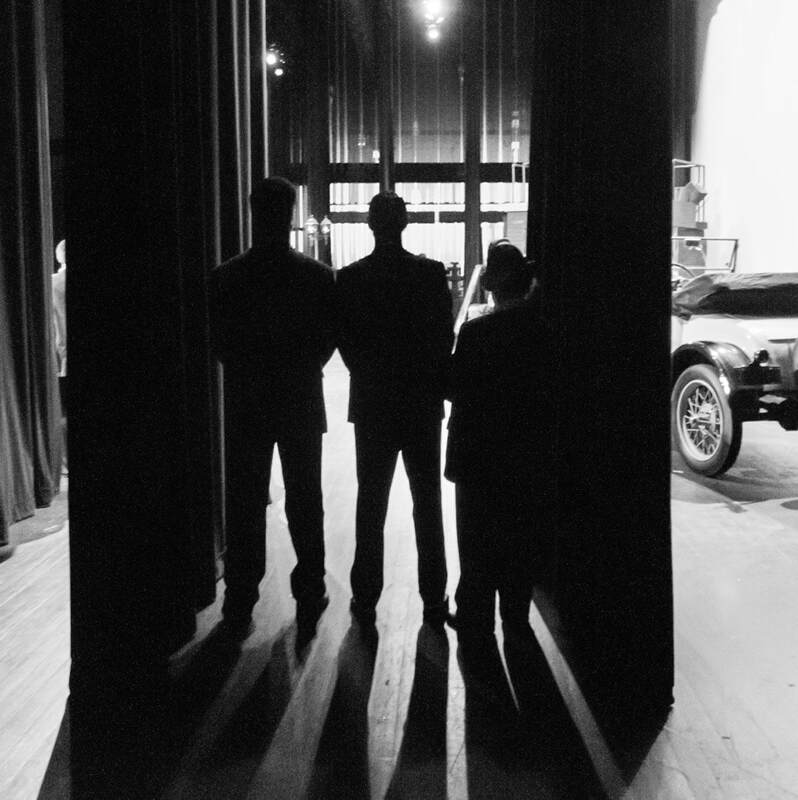 Founded in 2006 at the Soo Theatre Project, Soo Opera has brought fully staged works with orchestra to the Eastern Upper Peninsula for over a decade, including annual performances on Mackinac Island at the Grand Hotel and Mission Point Theater. When not on stage or directing, Karen serves as Director of Music at Little Stone Church on Mackinac Island, Artistic Director of the Soo Theatre Project, director of the Soo Youth Theatre Program, and as an adjunct professor of music at Lake Superior State University. 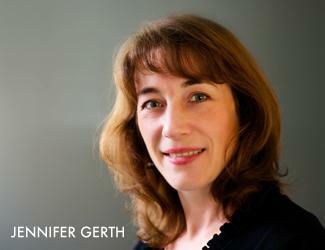 Karenwas also appointed as the Chorus Master for the Great Lakes Chamber Orchestra in Petoskey, MI in 2017. Karen holds a Master’s Degree in Vocal Performance from the University of Nebraska-Lincoln where she studied under Metropolitan Opera Mezzo-Soprano Ariel Bybee. A student of Bybee’s in New York City, where she attended the American Musical and Dramatic Academy, Karen subsequently followed her mentor and teacher to earn her degree in the field of opera. Karen also holds a Bachelor’s Degree in Harp Performance from DePauw University. Perhaps you have heard of Dave Ramsey and the Financial Peace University (FPU) course that has helped millions of people create a desire to join the DEBT FREE movement. That same content is changing the lives of high school students and young adults through the Generation Change curriculum. Generation Change is a series of Bible studies designed to lead teens to a better understanding of God, themselves and their money—and how it all works together. Teens learn their value in God's eyes and what the Bible says about money. The importance of giving, the dangers of debt, how to budget and save wisely, and how to plan for large purchases are taught. YOU CAN LIVE DEBT FREE! January 6th – March 3rd, 5:30-7:30. Please contact the church office at 651-437-4398 for more details. Come join us for the final 2018 Tuesday Coffee Concert as Carolyn, John and Sarah perform holiday tunes of many different countries! Bring your vocal cords for a Sing Along, too! Make plans this holiday season to enjoy a show at the Hastings Arts Center! ​Spend your Christmas holiday with two of the Twin Cities most talked about groups as they join together for a rare and very special holiday concert! 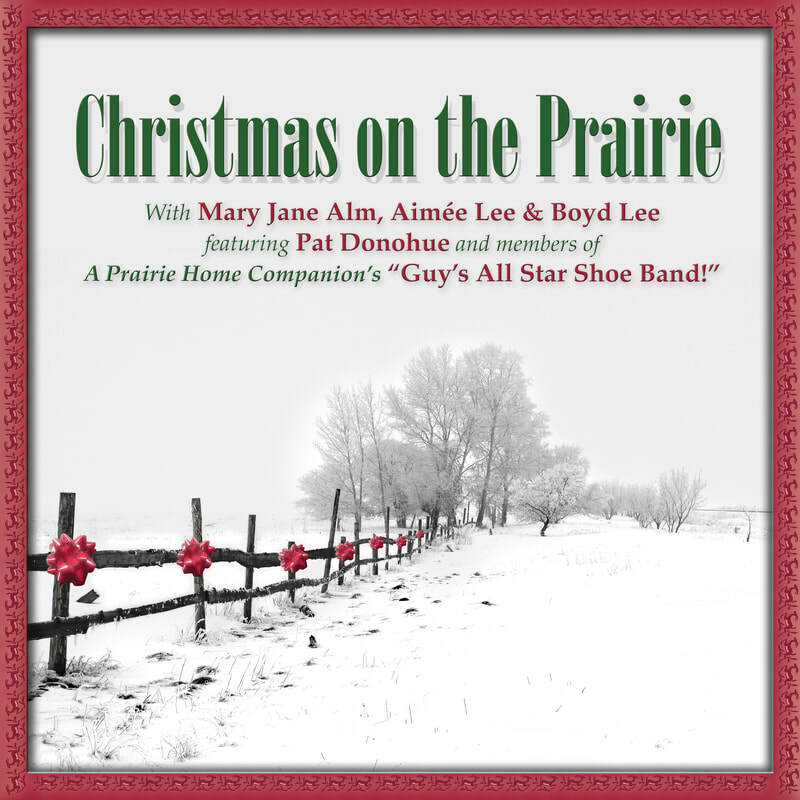 Mary Jane Alm and Aimée & Boyd Lee combine with the New Shoes band featuring Richard Kriehn, Joe Savage, Gary Raynor and Peter Johnson - members of the "Guy's All-Star Shoe Band, a fixture on Garrison Keillor's A Prairie Home Companion for over 20 years. Topping it off will be A Prairie Home Companion Grammy Award-winning guitarist and songwriter, Pat Donohue! This will be a truly fabulous and extremely musical experience - Dont miss it! For tickets, click below! "Remembering the Great War through Music and Verse"
This particular concert features songs and prose from around the time of the end of WWI. We will have coffee available and perhaps some treats. Stick around afterwards to visit with the performers and view the gallery exhibit. Donations for our "Keys to Success" fundraising campaign are always welcome and appreciated. 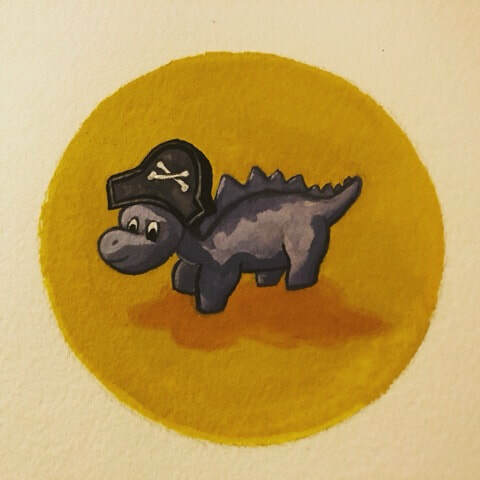 Artists come in all backgrounds and ages! We are excited to host the students of Kennedy, McAuliffe and Pinecrest Elementary schools as they put their creative works on display! ​Enjoy music and poetry that honors Native American culture performed by singer and song writer Annie Humphrey. ​Growing up on the Leech Lake Indian Reservation in Northern Minnesota, Annie lived in a home filled with voices made of thunder and nothing could stop it. Her parents were brilliant people individually. Her father, a singer and musician and her mother an artist and poet. Together they made sadness. Each of her parents taught Annie the beautiful things they knew. They showed her that she carried their gifts in her hands too. This is how creating art and music came about for her. This is what saved her. This is how she lives now. Our Tuesday coffee concert series continues with sounds of the harp! 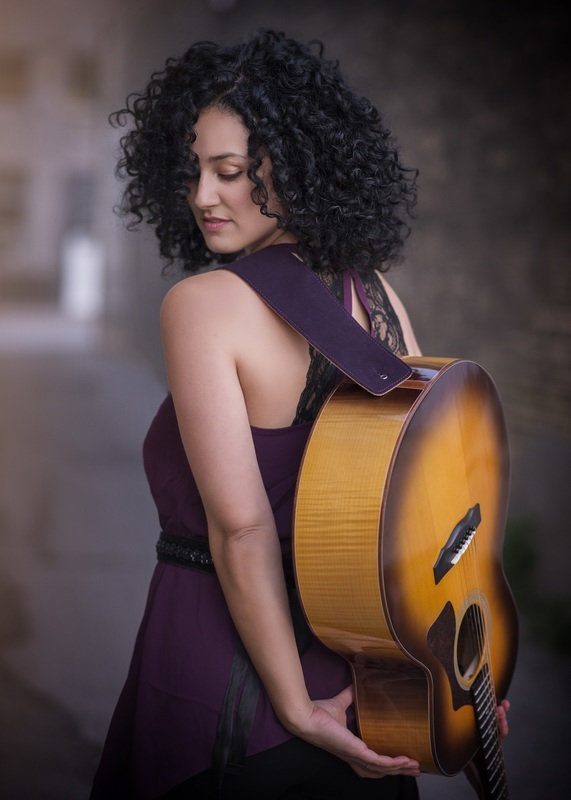 ​Hannah Flowers is an award winning Traditional singer and harpist from St. Paul, Minnesota. Classically trained from a young age, she discovered Traditional Irish music as a teenager. Known for her sensitive and lyrical accompaniment of songs as well as her syncopated and rhythmic accompaniment of dance tunes, Hannah enjoys exploring the full depth of traditional Irish music and song. ​The program will include selections from Hannah's debut album “Amhrán na Cruite” (“Song of the Harp”). ​We will have coffee available and perhaps some treats. Stick around afterwards to visit with Ms. Flowers and view the gallery exhibit. Donations for our "Keys to Success" fundraising campaign are always welcome and appreciated. Some spooky music is scheduled for this seasonal concert featuring Melyssa Rice, soprano, and pianists Sarah Lockwood and Pat Dymacek. Come join us for coffee and treats while listening to the concert, and plan to tour the art gallery afterwards. ​Donations for our "Keys to Success" fundraising campaign are always welcome and appreciated. ​Join us as the FREE Tuesday Coffee Concert series returns with Jarrelle Barton and the music of the Guzheng (or Chinese Zither) - 10:30am at the Hastings Arts Center! Jarrelle will perform traditional and modern pieces for Zheng along with original compositions while you enjoy fresh coffee! We will have coffee available and perhaps some treats. 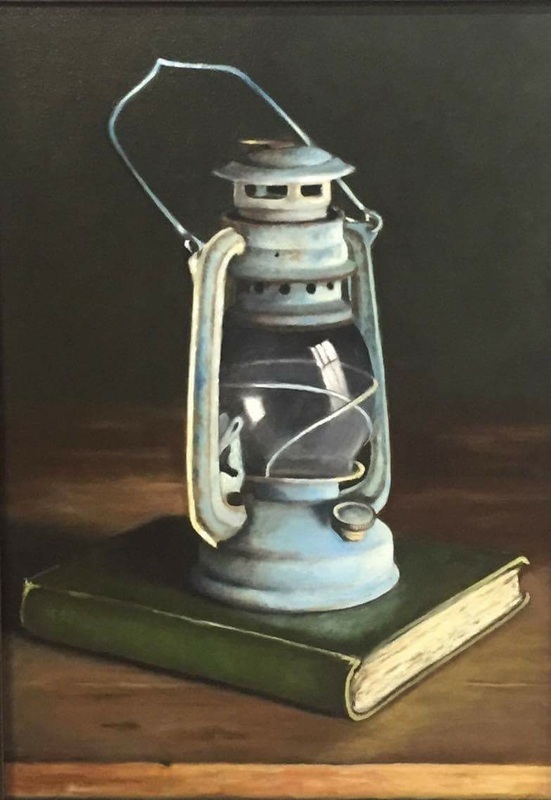 Stick around afterwards to visit with Mr. Barton and to view the gallery exhibit.​ Donations for our "Keys to Success" fundraising campaign are always welcome and appreciated. 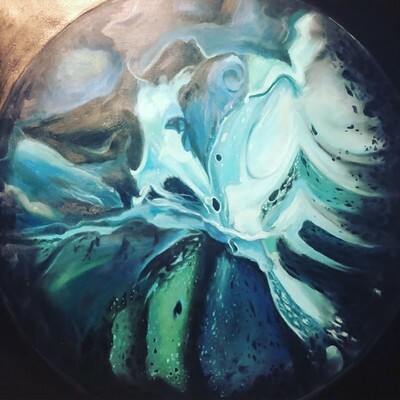 Most paintings available for purchase. Admission is FREE! Coffee and treats provided. DONATIONS ARE WELCOME. Thank you! --This body of work is an eclectic assemblage of mixed media pieces celebrating the fundamental properties of color, form, and repetition. I am a material-driven artist. 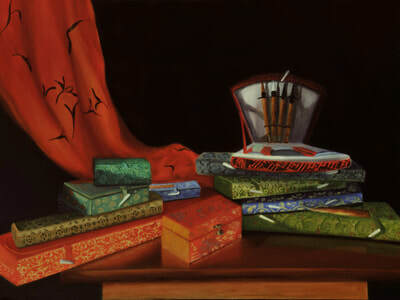 While I work in a wide variety of mediums and styles, I enjoy creating work where form and content are complimentary. If I am using ink, I favor bold and dramatic compositions that mirror the depth and strength of ink itself. 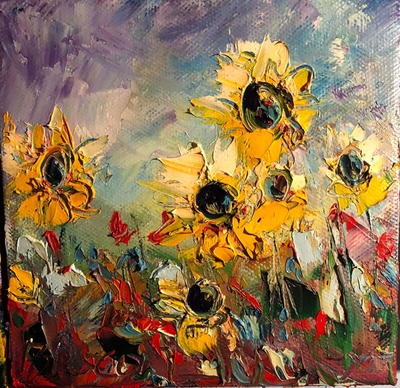 Likewise, if I am painting I try to create forms that resonate with a painterly aesthetic and capture the fluidity of paint. 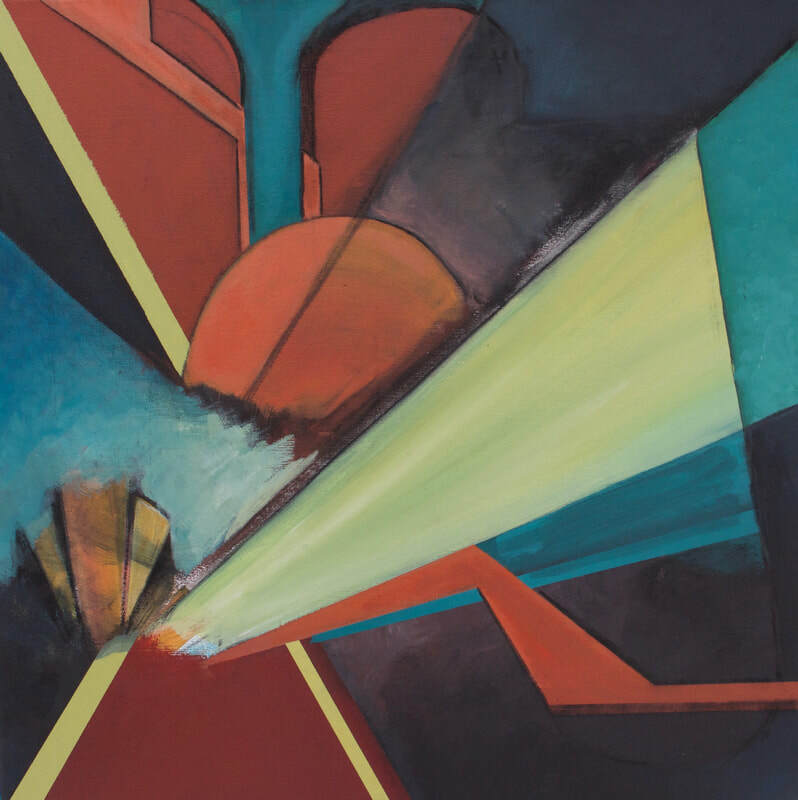 From traditional still life paintings to abstract geometric narratives, the basic constructs of lines, form, composition, and color still persist, and so I believe abstract and representational art to be very similar in those regards. In the future I hope to explore the narrative potentials of both representational and aesthetic designs, combing these elements within single compositions. ​--I studied art at the University of Minnesota. In 2017 I graduated with two bachelor’s degree in Art (B.A.) and Art History. David Feinberg was my mentor and painting professor and guided me in my exploration of the subconscious and the abstract. I plan on returning to the University of Minnesota in 2018 to get my M.Ed. in Art Education and hope to teach in the near future. OPEN HOUSE UPDATE! Date and Time changed! Jesse Brady revives it's past members Jeff Christensen on guitar, Jeff Hauschildt on Drums and Pat Wagoner on Bass returning to its 70's and early 80's roots on the Twin Cities scene. From the golden era of power rock AOR bands such as STYXX and Super Tramp, Jesse Brady rocked the Twin Cities and the greater Minnesota region. In 1981 their song "Souvenirs" won Minnesota Music Awards best song of the year. The Spirit of Jesse Brady arrives in Hastings to rattle the stained glass in our "Rock the Church" event on FRIDAY June 29, 2018. The show will include high quality performances of selections by Deep Purple, Led Zeppelin, James Gang, Cream, Jimi Hendrix, The Yardbirds, Jeff Beck and even a smokin' song from the musical "West Side Story". Opening for the Spirit of Jesse Brady will be local band The Montes. Concert starts at 7pm. Tickets at the door $15. Hear a little of "Souvenirs" and some of the current work of this Classic Band! Come to the Hastings Arts Center on selected Tuesdays in September, October, March, April and May to enjoy free concerts performed by local Twin Cities musicians. 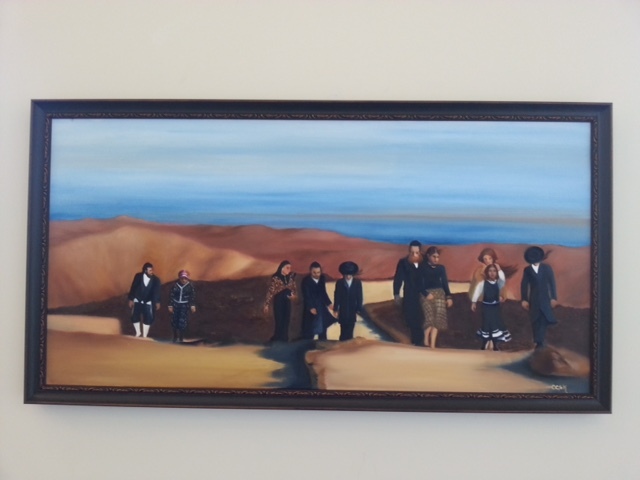 Come enjoy fresh coffee and the art gallery starting at 10:00am. Concerts begin at 10:30am and will be anywhere from 35-60 minutes in length. December 12--Harmen Vanhoorne and Sam Niewenhuis guest artists from Belgium performing on cornet and keyboard. 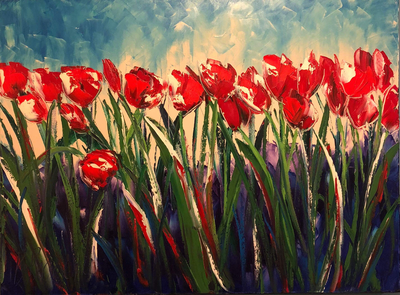 April 3- canceled due to weather. Rescheduled to May 15. Co-written in 2010 by Victor Zupanc and Kevin Kling, For the Birds is a concert length work (1 hour running time) that, on the surface, seems to be about birds. It features a series of musical pieces extolling the nature of each particular bird (sparrows, roosters, woodpeckers, Canadian geese, hawks), drawing parallels with our own human nature. Interspersed between, is insightful storytelling created by Kling reflecting on childhood memories, immigration, illness, accidents, and healing. However, just below the surface (but discernible to those that look), For the Birds is a work about that part of our human nature that compels us to reach beyond ourselves for more —more opportunity for our family, more money, more fun, more speed, more knowledge, more love. When all goes well, we call that need aspiration. When it doesn’t, and we plunge to the earth with melting wings, we call it hubris. Through utterly delightful music and a worldview only Kevin Kling can provide, For the Birds gives us the space to contemplate our nature, laugh at ourselves, and heal. We are so excited to have Annie Fitzgerald back to perform at the HAC. Annie will perform highlights from her new CD, "You & Me & the Sun" and also some earlier tunes. Marked by the Songwriters Hall of Fame as an artist to watch, Singer-Songwriter Annie Fitzgerald will release her second album You & Me & the Sun on June 1st, 2018. Produced by Danny O’Brien (The Farewell Circuit, Dem Yuut), the album finds Fitzgerald joining gifted musicians and shaping an intricately textured pop sound touched with the raw vitality of rock-and-roll. Come to this special WEEKDAY EVENING CONCERT. James Dutton will be returning to our stage during his brief visit to the states. The concert will also feature Casey Rafn, piano and Natalia Moiseeva, violin. GENERAL ADMISSION $10 at the door only. Mr. Dutton will be playing selections from his newly released CD, "Idyll: The English Flute Unheard." The CD will be available for purchase at the concert. Works marked with * are from “Idyll”. James Dutton studied at the Royal College of Music in London, winning prizes for orchestral, solo and chamber music performances. He has also been awarded two Worshipful Company of Musicians' Silver Medals and a Fellowship in Flute Performance from Trinity College London. As a Park Lane Group Young Artist, he gave a recital at the Purcell Room which included the world premiere of "The Colour of Pomegranates” for alto flute and piano, written for him by the leading British composer Julian Anderson. Since 1997 he has been principal flute of the Band of the Scots Guards in London. He has appeared with them as a soloist many times including concerts at the Royal Albert Hall and Cadogan Hall in London, many European cities and tours across Australia and South Korea. Over the last twenty years he has appeared in numerous recitals, performing everything from classic works to contemporary repertoire. He also appears on many recordings both with his own band and as a guest performer, and has given live radio and TV broadcasts. In December 2016 he first visited Minneapolis and gave a series of recitals, including at Hastings Arts Center, and he is delighted to be returning. He has also been invited to perform for both the British Flute Society and the Norwegian Flute Festival. In November 2017 he appeared in recital together with Tom Ottar Andreassen, co-principal flute of the Oslo Philharmonic Orchestra. February 2018 saw the release of his debut album “Idyll” with Oliver Davies on the MPR label. Later this year James will be retiring from his position at the Scots Guards Band and moving to Oslo in Norway to join his wife and daughter, and concentrating on a career as a recitalist and teacher. 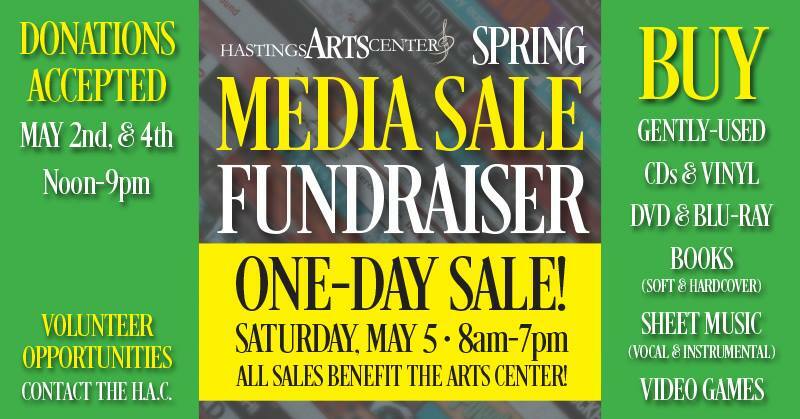 We’re holding our first Spring Media Sale! We will be accepting items on May 2nd & 4th from Noon to 9pm. 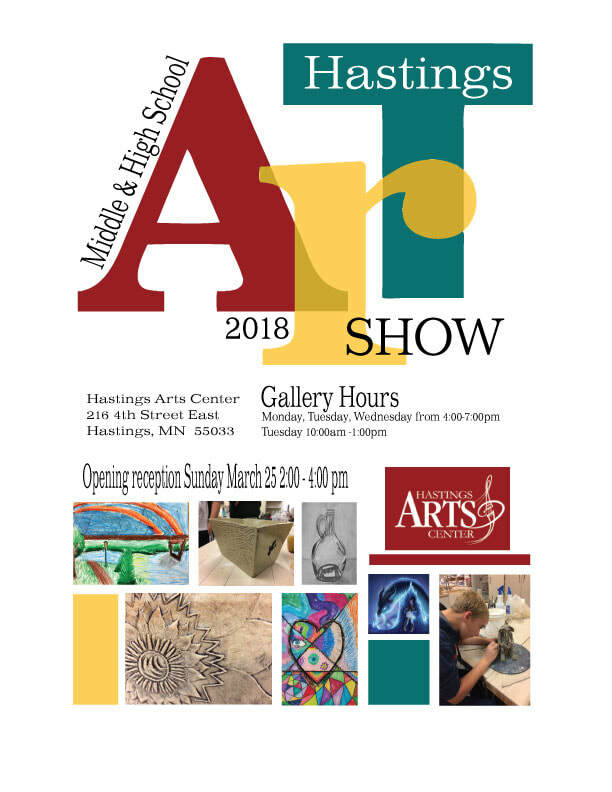 Please take advantage of this unique opportunity not only to rid yourself of unwanted media, but to help out the Hastings Arts Center in the process! Proceeds from the sale will go toward our current needs as well as future dreams: the ongoing piano fund, a new portion of the-building’s roof, sound paneling the practice rooms, and creating a green room/teacher break room. VOLUNTEER OPPORTUNITIES: Please contact the H.A.C. to inquire about Volunteer Opportunities for this sale and also for the drop-off days. PLEASE SHARE this event with your friends, neighbors, family & sale groups! 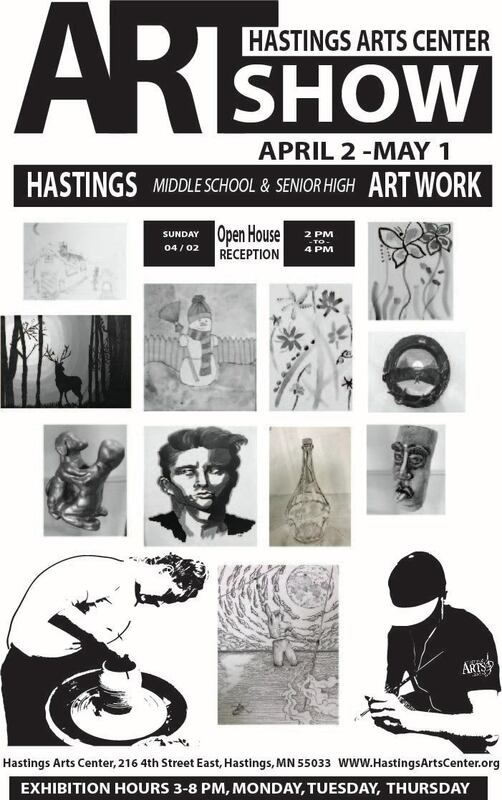 ​Come to an OPEN HOUSE RECEPTION Sunday-March 25th from 2:00-4:00 to view some of our Hastings students' artwork! Exhibit hours are Mondays, Tuesdays, and Wednesdays from 4:00-7:00, and also Tuesdays from 10am-1pm. ​Exhibit will be up through April 25th, 2018. Please come and enjoy this FREE concert! Formed in 2012, the St. Croix Piano Trio combines the talents of three Russian musicians who have made a big impact since each moving to the United States. All three are respected teachers and performers representing such leading local music organizations as the University of Minnesota School of Music (Professor Tanya Remenikova), Minnesota Opera (Dr. Natalia Moiseeva) and the University of Wisconsin-River Falls (Dr. Natalia Moiseeva and Dr. Ivan Konev). Each graduating from the top Russian music institutions in Moscow they together share a lot of similar training, making it easier to collaborate as a trio and bring in a lot of common ideas, traditions and even jokes. The trio repertoire ranges from Baroque to Modernism but they have a particular interest in performing and popularizing music of Russian composers. The concert program will feature works by German composer, Felix Mendelssohn, Russian composer Anton Arensky, and French composer, Maurice Ravel. Beth Bacon’s paintings are on exhibit during the last part of February through mid-March. Ms. Bacon is from Hastings, Minnesota. Sunday, February 25, 2018 from 2:00-4:00pm. Collected”, featuring a broad spectrum of sound, from radiant to reflective. interpretations of Irish and Scottish music. Laura toured nationally with Lorie Line and her Pop Chamber Orchestra for nine years, has appeared on "A Prairie Home Companion", produced many recordings of Irish and Scottish music, studied ethnomusicology and did much deep journeying about the countrysides of Scotland and Ireland, discovering the wonders of traditional music. Laura has been well-honored for her work in this realm of music, including the Minnesota State Arts Board and the McKnight and Bush Performing Artist Fellowships. In 2014, "Laura MacKenzie Day" was officially proclaimed by the City of St. Paul, in honor of her local and regional work in traditional music and culture. Unique in the classical music world due to its dedication to works for violin and cello ensemble, Duo-B is quickly earning praise for their passionate musical commitment, creative style, and original programming. Founded in 2009, violinist Hirono Sugimoto Borter and cellist Philip Lawrence Borter met at the Hochschule für Musik-Freiburg (Germany) and have since dedicated their performing careers to promoting the wealth of music for violin, cello duo. As winners of the prestigious Eastman Concerto Competition, they have performed across three continents including landmark performances in Kodak Hall at the Eastman Theater, the Kennedy Center in Washington D.C., the Universität der Künste in Berlin, and Minatomirai Hall in Yokohama, Japan. Since its inception, Duo-B has championed a diverse and broad repertoire representing music from a great variety of genres and cultures. In addition to performing rarely heard masterpieces and lesser-known works, a great emphasis is placed on the communicative power and remarkable intimacy found only in the string duo. In 2011, they gave their first concert tour in the United States, performing extensively in the Southeast and are now found frequently performing across the US and Japan. Showcasing the great versatility of the ensemble, they are equally comfortable as soloists, having given their orchestral debut of the Brahms Double Concerto for Violin and Cello in 2012 at Kodak Hall with the Eastman Philharmonia under the direction of Neil Varon. Most recently they were welcomed as featured guest artists at the 2017 Iowa Composer's Forum and will serve as the string faculty for the Dorian Summer Camp at Luther College. Other performance projects include participation in the IBLA Foundation Festival & Competition (Sicily, Italy) and fall concerts in Yokohama, Japan. Duo-B has worked alongside violinist Mikhail Kopelman and cellist Steven Doane. 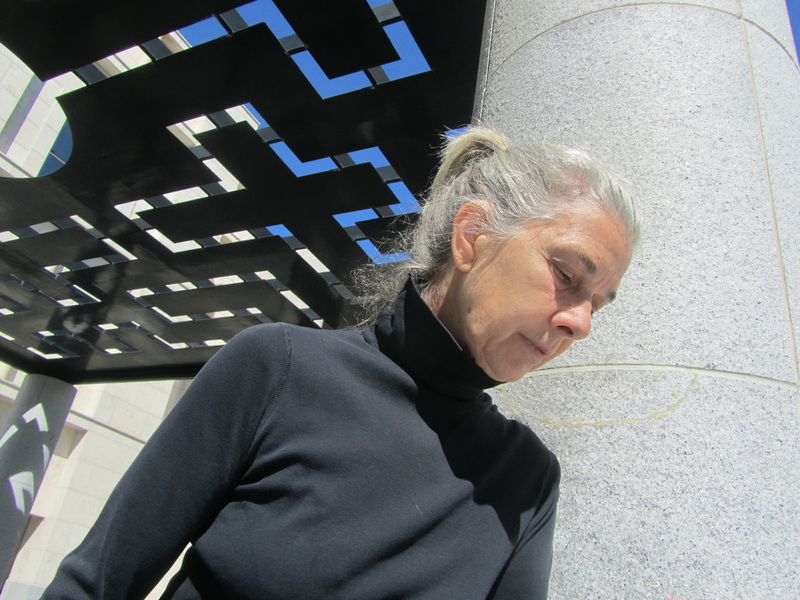 Former mentors for the ensemble have included Latica Honda-Rosenberg and Christoph Henkel. ​Philip and Hirono reside in Decorah, IA with their two sons. Ellie Leonardsmith, photographer, "What We Hide"
A portrait series exploring our whole, complex selves. In each portrait session for this exhibit and originally for a book that the photographer created, Leonardsmith invited the participant to share something with her that they felt they couldn't talk about in light conversation. Sometimes what emerged was something they held as a shameful secret. Other times participants brought forth something that they weren't actively trying to hide, but felt would be an unwelcome disclosure in their social circle. Breaking that silent rule of suppression was often just as hard as telling a secret held in deep shame. What resulted from this sharing was a lessening of suffering and an increase of connection. 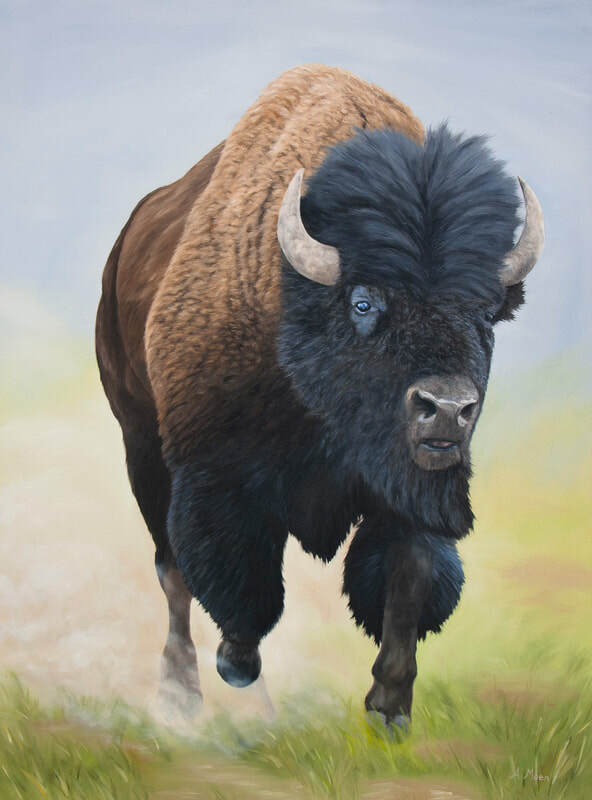 Get a front seat to Ellie's exhibit during a casual open house reception. 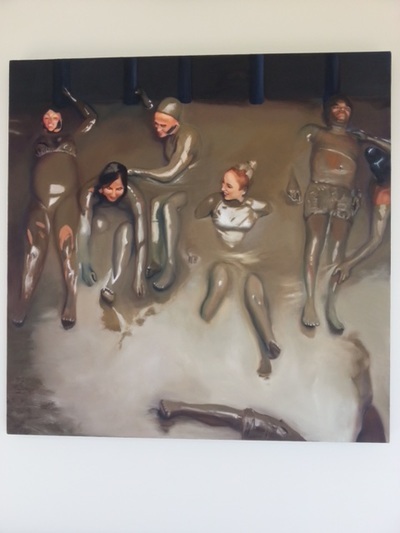 A brief discussion of the work on display is at 3:30. Coffee and treats will be served. Come one come all! 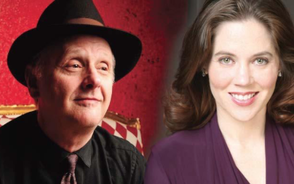 Valentines Show with "From the Heart"
​FROM THE HEART, a quartet with Martha Mathewson on piano, Dana Mathewson on woodwinds, Melissa O’Neill, soprano and Tom Witry, baritone, performs classics straight from the heart of the Great American Songbook and from stage and screen. You know which ones we mean… those timeless tunes that every person of ‘a certain age’ sang along with on the radio, those favorite pieces that were playing when they fell in love, the songs the big band played when they danced with their favorite partner…. FROM THE HEART brings these classics to life in fresh and tasteful style. "From the Heart" will bring a special Valentine's Day performance to our stage! Whether or not you are of 'a certain age' this concert is for you! Why not make it part of your Valentine's Day celebration. Following lunch come to a great concert right in your own backyard! Plus, there will be dessert! Doors will open at 2:30pm on February 11th. ​Adult tickets are $20 at the door. -The Roe Family Singers are a Good-Time, Old-Time Hillbilly band from the tiny community of Kirkwood Hollow, MN. Led by wife & husband Kim Roe (Best Female Vocalist, City Pages/Village Voice) and Quillan Roe (Accident Clearinghouse), the band marries old-time sounds from barn-dances, fiddle pulls, and county fairs with the rock & roll passion of youth. -Featuring banjo, autoharp, guitar, and Appalachian clogging, the band and family of fans have been regularly filling Minneapolis’ 331 Club every Monday night since 2005. They've shared the stage with Doc Watson, Ralph Stanley, Mike Seeger, Del McCoury, the Grascals, and Jim Kweskin & Geoff Muldaur. In 2011 the band was awarded the prestigious McKnight Fellowship for Performing Musicians; they won the title of “World's Best Jug Band” twice, in 2010 & 2012 at the annual Battle of the Jug Bands; and, in 2012, won the Minnesota Duet Contest at the MN State Fair. -The Roe Family Singers mix original music and contemporary takes on old-time, traditional, and gospel tunes into one roiling & rollicking river of fresh yet familiar American music. We are so excited for their return to our stage! If the Super Bowl isn't for you, consider escaping to Hastings for the weekend and come enjoy this concert while you visit! OUR ONLINE TICKET SALES HAVE ENDED. Tickets are available at the door starting at 6:30pm when the doors open. ​Kids ages 7-17 are free with each adult ticket purchase. Additional kids or Students attending alone are $10. "Days of Wine & Roses"
A fabulous act returning to our stage...Twin Cities vocalists Jennifer Eckes and Arne Fogel will tunefully wend their way through the 1960s songbook that was a golden age for Broadway, Hollywood, and pop music. This was a decade of big hits for the likes of Frank Sinatra, Dean Martin, and Barbra Streisand, and you'll hear classic songs like "People", "Moon River", "Summer Wind", "Everybody Loves Somebody", and many more! Andrew Hill is a Hastings resident freelance photographer and graphic design artist. 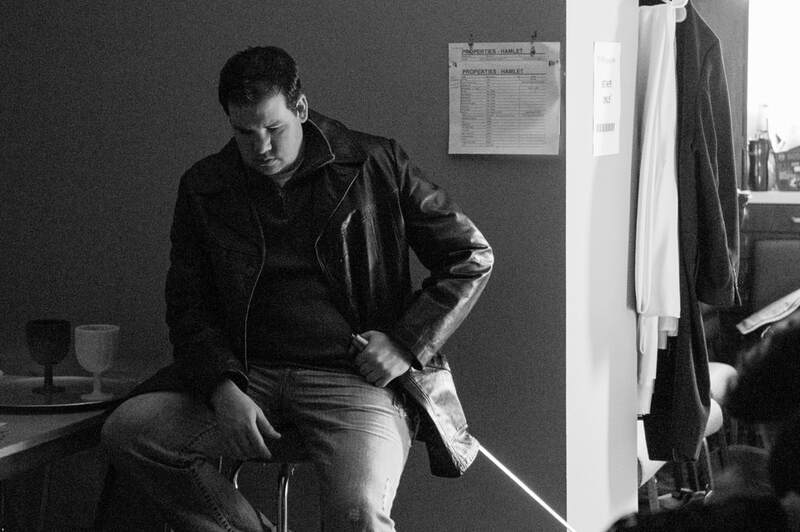 In recent years, Andy has had the opportunity to work with theater companies, including the local Black Dirt Theater company and more recently Lumin Theater Lab, to capture moments and scenes during productions of performances, but also taking some behind-the-scenes images. Please come visit the arts center during November and December to see Andy's perspective of being "Behind the Curtain"! Spend your Christmas holiday with two of the Twin Cities most talked about groups as they join together for a rare and very special holiday concert and fundraiser. Mary Jane Alm and Aimée & Boyd Lee combine with the “New Shoes” band featuring Richard Kriehn, Joe Savage, Gary Raynor and Peter Johnson - members of the "Guy's All-Star Shoe Band,” a fixture on Garrison Keillor's A Prairie Home Companion for over 20 years. Topping it off will be A Prairie Home Companion Grammy Award-winning guitarist and songwriter, Pat Donohue! This will be a truly fabulous and extremely musical experience -Don’t miss it! It may never happen again! SAVE THE DATE for this ONE NIGHT ONLY Holiday Show! Tickets will be available starting October 2nd. ***A portion of the ticket sales for this concert will benefit Hastings Family Service's "Project Share" which provides help for the holidays for families and individuals living in ISD 200. *FYI, this is a SPECIAL EVENT and is not included in our 2017-18 Season Ticket packages. The history of rock and pop music is filled with unforgettable hit-making, horn-driven groups from the '60s to the current era, and one Twin Cities band will be bringing that sound all back home. Tower of Power, Chicago, Blood, Sweat & Tears, plus Bruno Mars, Justin Timberlake and others are just some of the groups that Hornucopia's large ensemble will salute in a singular tribute show that celebrates multiple genres of music. CHECK OUT THE GREAT VIDEO BELOW! of songs from and about work. Singing at work and about work has been a long held tradition. This recital will include Scottish work songs, shepherd songs meant to be heard across the field and songs that express some of the many feelings and dreams we have about work. Checks payable to SOCIAL GOOD. Cash donations are also acceptable. You may also donate online by clicking below. 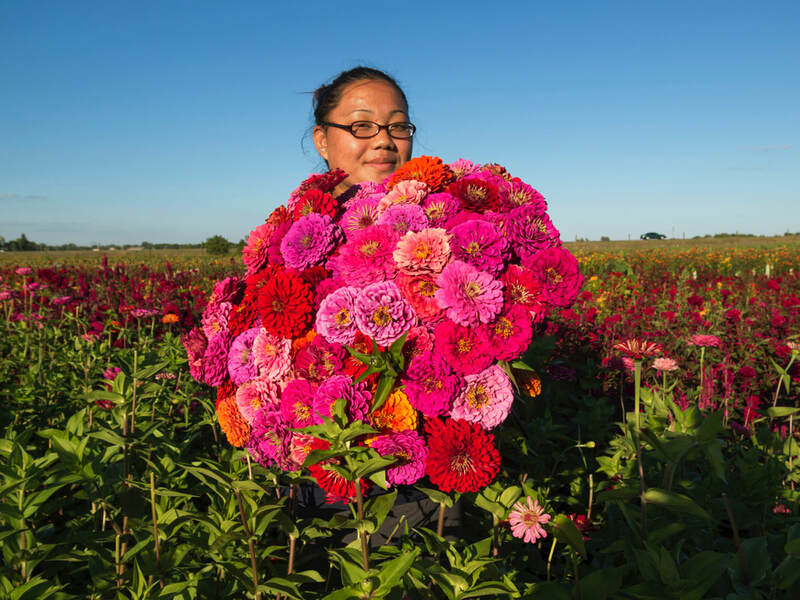 "Seeds of Change: A Portrait of the Hmong American Farmers Association"
Seeds of Change: A Portrait of the Hmong American Farmers Association. The exhibition opens Friday, October 6th and runs through October 31st . national attention as a model for sustainable stewardship. Opening Reception is Friday evening, October 6, 2017, 7:00-8:30pm, FREE & OPEN to the public! Jim Falbo is an eclectic and accomplished classical guitarist, composer, instructor, performer, and music arranger from St. Paul, Minnesota. Jim's music has been featured on KBEM 88.5 Jazz FM, and on 99.5 KSJN Classical MPR, where radio host Steve Staruch described Jim as "a master of pluck." Jim started playing guitar at the age of 11 after growing up listening to Led Zeppelin, Eric Clapton, The Beatles, and many 90's alternative bands on the radio. His love of many forms of music developed into a passion for classical and acoustic guitar, when he studied with guitarist Dean Harrington at K and S Conservatory of music. 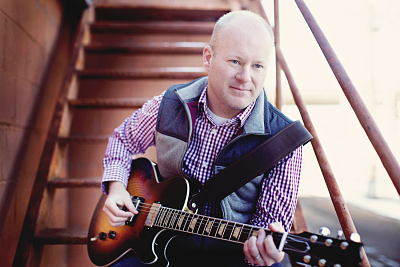 Jim has received shining reviews and is well known as a "guitarist's guitarist" from audiences and musicians alike with an ability to play such a wide range of genres and styles. A wide selection of music is in Jim's repertoire, including classical European, Latin, pop classics, and some jazz standards. 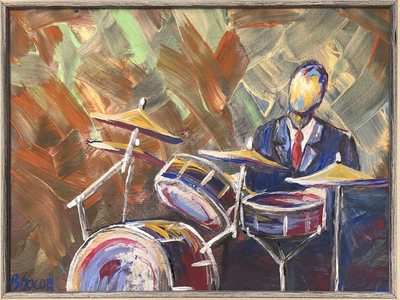 Jim is a high demand and award-winning performer and plays in many events including concerts, weddings, corporate events, and various other venues and events throughout the Twin Cities and Upper Midwest. Most recently Jim has performed at MPR's classical pop-up concert from the Fairgrounds, the Minnesota Guitar Society classical guitarathon, James J. Hill House, Cedar Cultural Center, and was the first act to perform at Hastings Arts Center when it opened in 2015. Jim has released four albums with his newest "Guitar Reveries' transcending musical boundaries with pieces from Spain and Brazil, combined with pop classics from the Beatles, and Elvis among others. We are pleased that Jim will once again perform on our stage! Program lineup will be posted later! ONLINE TICKET SALES have ended. Please plan to purchase at the door. 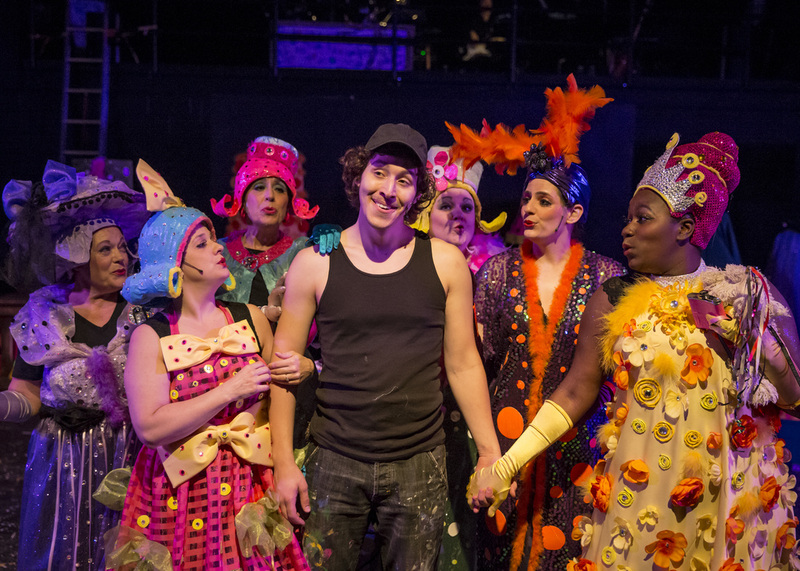 Jett takes the Hastings Arts Center Stage to a new dimension in this Family event showcasing his newest magical arts. At door pricing is $50 for family 5-pack. *FYI, This is a SPECIAL EVENT and not part of our 2017-18 Season Packages. Online ticket sales have ended. Please plan to purchase tickets at the door. *Stick around for a FREE Concert at 3:00pm--"Sarah Lockwood & Friends"
Cash donations or checks payable to Social Good are welcomed for our ongoing fundraiser for our piano fund. Thank you for your support! Concessions on site. No ATM. Performances by local musicians that benefit a worthy cause! Proceeds donated to Minnesota Masonic Charities to aid in cancer research. Performance schedule as of 7/12/17, subject to change. My first experience with a camera was playing around with my Dad's Polaroid I found in a closet when I was a kid. I couldn't be separated from my first camera I got for Christmas when I was thirteen. My interest lead me to a career as a Public Affairs Officer in the United States Coast Guard where I worked as a writer, photographer, news journalist. While in the Coast Guard I was able to work in Alaska, the Bering Sea and entire East Coast. I worked on projects with Animal Planet, Discovery and History Channel and Universal Studios such as "The Deadliest Catch, "Coast Guard Alaska" and the Motion Picture "The Guardian" starring Kevin Costner and Ashton Kutcher. Being a photojournalist in the military allowed me to photograph life in many unique situations. I learned to become a versatile photographer since my images were the key and sometimes only tool of telling the Coast Guard's story. I currently work as a freelance photographer in Minnesota. Music and light hors d'oeuvres provided. An evening of Bluegrass and Americana music provided by this Red Wing, MN based band! Online ticket sales have ended. Tickets are $10 at the door. Kids 12 and under are free. Bring the family! Come see local band Sons of Vengeance rock out. On the wrong side of town, the family at the end of the lane is trying to keep it all together. Under suspicion by the law, hounded by criminal elements and victim to their own dysfunction, Nora, Elizabeth, Gail, Mary Ann, Tom and Junior, each do their best to help. ***You can also go to lumintheaterlab.com for more information on this newly formed theater group!!! Colton Peltier made his first orchestra debut at age 9, performing Beethoven’s “Concerto No. 1” in eight young people’s concerts with the St. Paul Chamber Orchestra. In the next year, he again performed with the St. Paul Chamber Orchestra and made his first appearance with the Minnesota Orchestra. Colton continued to perform with different orchestras in and outside of Minnesota. 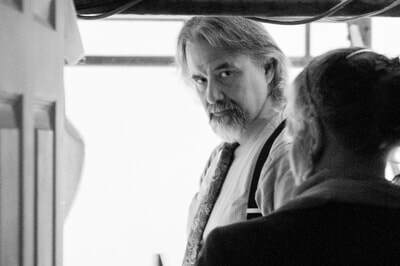 Highlights included being reengaged with the Minnesota Orchestra, performing with the Kenwood Symphony, the Grand Teton Music Festival Orchestra, and performing Gershwin’s Rhapsody in Blue with the Allegro Con Brio Orchestra, and seven times over 6 months with the Minnesota Orchestra, Osmo Vanska conducting. He also performed with the Virginia Waring International Competition Orchestra, winning first prize, the Southeast Iowa Symphony Orchestra, the La Mont Symphony in Denver, Colorado, the Lake Superior Chamber Orchestra and the Des Moines Symphony. Most recently, Colton has continued to perform with orchestras throughout the country. Some of these include two engagements with the Baton Rouge Symphony, The South Arkansas Symphony, the Southeast Iowa Symphony and the Aspen Conducting Academy Orchestra. ​Colton studies piano with Dr. Yoheved Kaplinsky at the Julliard School of Music, where he is a senior. He attends the Aspen Music Festival in the summers where he also studies with Prof. Kaplinsky. Outside of piano, Colton enjoys school, traveling and spending time with his friends and family. Online tickets are closed. Tickets will be available at the door the day of the concert. It's back - the last Sat. of April - the original, downtown HOOTENANY. At The NUT, The DEPOT, The ONION, The LEGION and LOCK & DAM... plus open mic at HASTING ARTS CENTER. Featuring over 50 acts and 100 musicians - playing at 6 venues - downtown Hastings, MN. Mark those calendars! Festivities begin at 6:00 and go until the early hours of the morning on April 30th. Free to attend, $5 suggested donation at each door of the establishment that is hosting. Donations will benefit Hastings Middle School Music Programs! If you would like to try a song or two on the Hastings Arts Center stage, please sign up for a slot by going to the link below. Deadline is Thursday, April 27th!!! BELLE CHANCE is a transatlantic meeting of hearts and minds, brought together by a mutual love of Celtic music, instruments, and culture. It is a testament to the power of experiential travel, and the stories that unite us across generations and continents. ​Highland and Uilleann piper Ryan Behnke, and Quentin Vestur, a harp player from the Brittany region of France, met at the University of Limerick where they both attended the Masters program in Traditional Irish music performance. During the spring of their final semester, Kerri Joy was on her second journey to Ireland. She had been playing her fiddle around the market towns, and decided to visit Behnke, an acquaintance from the Irish music community of St. Paul, MN. Joy was soon introduced to Vestur and a fast friendship developed. The trio promised to make plans to perform together in the future, and one year later, Vestur is making his first journey to Minnesota. He looks forward to sharing his Breton culture and music through performances and educational opportunities. ​The Belle Chance Trio is a remarkable group of musicians with very different backgrounds, coming together by “beautiful chance” to weave a common story, celebrate heritage, and above all to create music with a joyful and transcendent spirit. This is a featured concert on the Season Pass. If you purchased online tickets your name will be on the will call list at the door. Tickets available at blackdirttheater.com or at the door. Click below to purchase online. 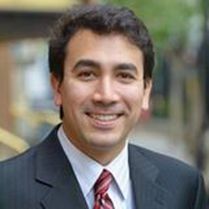 ​Described as "virtuosic in scope and expression, like a great man of the theater," and having "poignant sensitivity to the expressive demands of the music that far surpasses his years," Scott Cuellar will take the Hastings Arts Center stage as he gives a solo piano recital on our new Steinway. Tickets: Online tickets sales have ended. Advanced Ticket Purchases only available at Hastings High School. Limited tickets available at the door. Purchase them early! This event usually sells out! 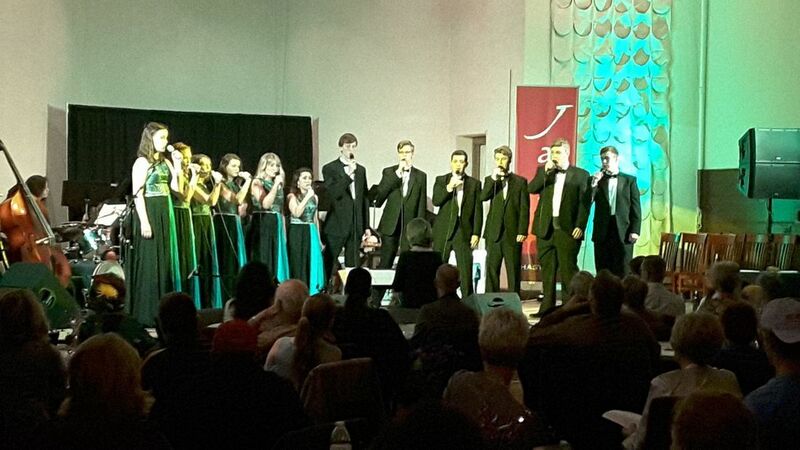 Hastings High School Vocal Jazz and Jazz Band ensembles present an evening at the jazz club, singing and playing jazz standards and other well-loved tunes. Online Ticket sales have ended. Tickets still available at the door! 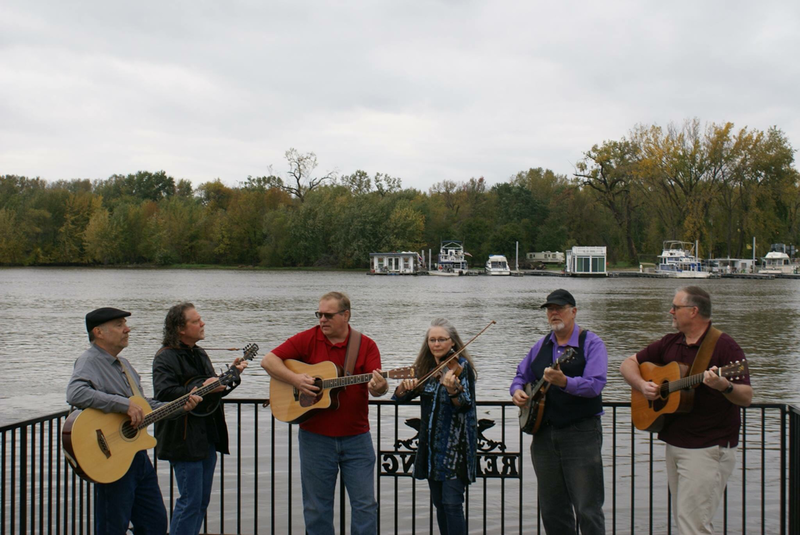 The Flemming Fold is an exciting and versatile family music group from Southern Minnesota. 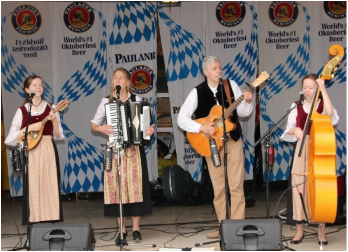 They perform a wide variety of high-energy, toe-tapping music blending Bluegrass, Country, Old-time, Gospel... and Alpine folk music with yodeling. This dynamic, tight-knit family group consists of songwriting duo, Troy and Sandra Flemming, and their two talented daughters. Troy, aka "The Yodelmeister," yodels with such beauty and intensity that listeners regularly assume he is from Austria or Germany. Troy is also known for his outstanding finger-style guitar playing. Sandra is an accomplished singer/songwriter and a lively piano accordionist. Their 14 year-old daughter plays both mandolin and fiddle and sings, while her 12 year-old sister sings and plays the upright bass. Audiences are continually amazed at the level of poise and professionalism that these young sisters display while entertaining. Although Troy's energetic, soaring yodels cause quite a sensation whenever he performs, he is often upstaged by his daughters with their youthful charm, mastery of their instruments, and beautiful vocal harmonies! "I have been making art for as far back as I can remember. Working with my hands is so central to my being that I cannot live without it. 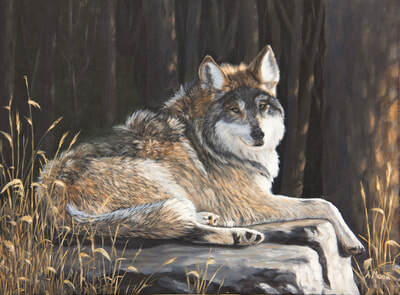 I look at the world with a painter's eye, noticing colors, shapes, and relationships in the natural world . I may be on a hike, or taking a photograph, or on a trip, when something in the landscape gives me inspiration for a new piece. My work has become more abstract recently, challenging me to push reality and ideas in a new direction, a direction I hope others will enjoy. I start with a rough idea, allowing it to guide me intuitively to a place where I should stop and let the painting be. Sometimes I like to work on several paintings at the same time, to keep me from overworking or overthinking them. 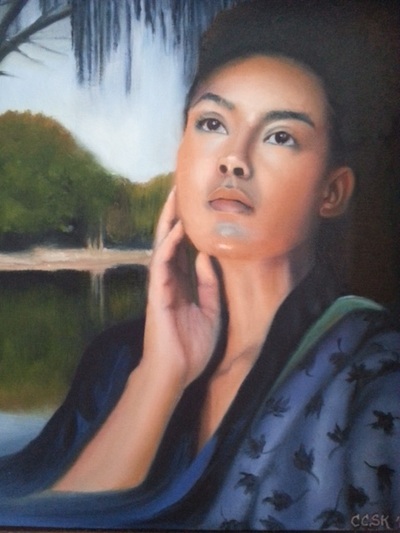 I work in oil on canvas or wood, and occasionally in acrylic. 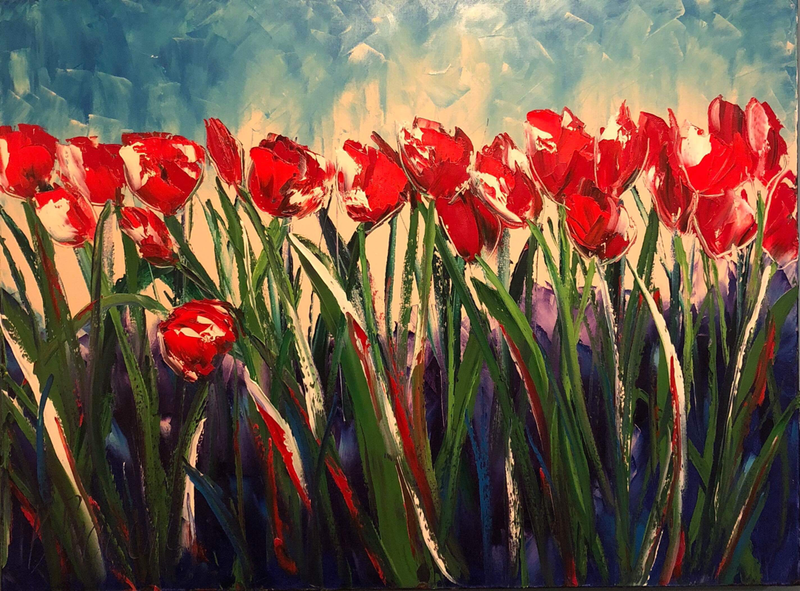 When I'm not in the studio, I can be found teaching others how to oil paint and enjoy themselves." 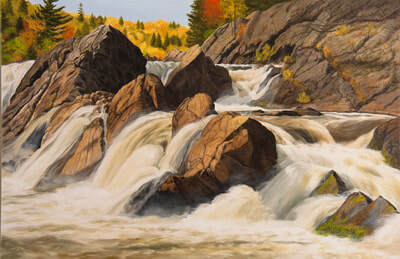 Dianne Ginsberg is a local artist from River Falls, Wisconsin. 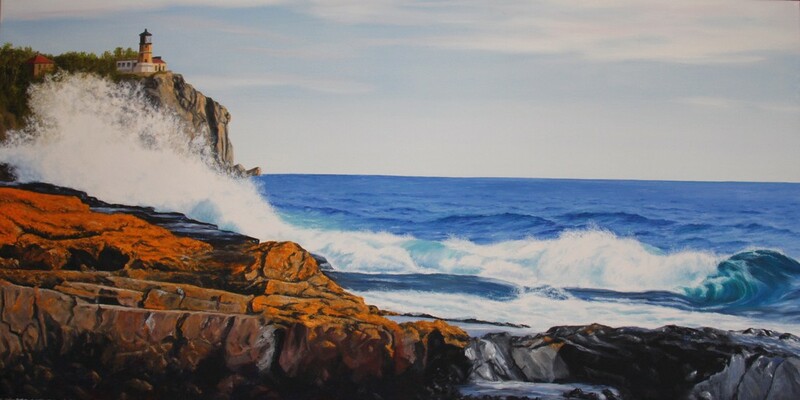 The Hastings Arts Center gallery is currently featuring Dianne's oil and acrylic paintings. 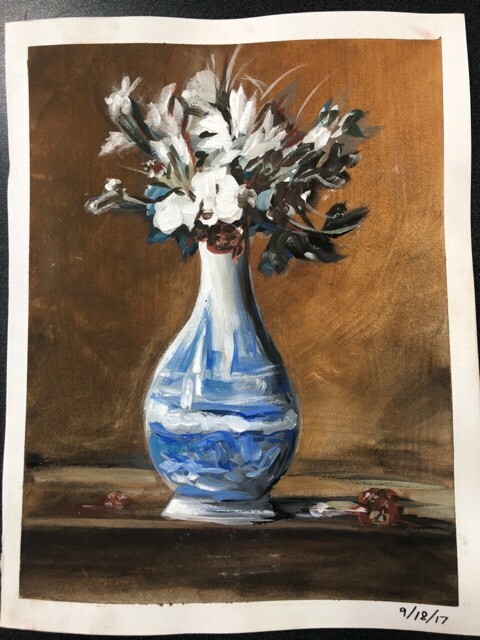 If you would like to view Dianne's art in person, the arts center is usually open Monday, Tuesday and Thursday from 3:00-7:00pm when music lessons occur. On Wednesday mornings from 10:00-12:00, Dianne teaches an oil painting class at the center. 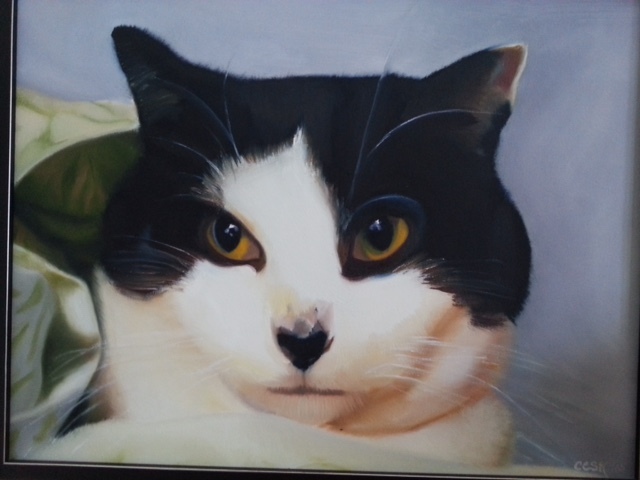 You may come visit during that time to view her art in the gallery and also observe her painting class. Perhaps even sign up for the class, too. For more info about the class, click here. 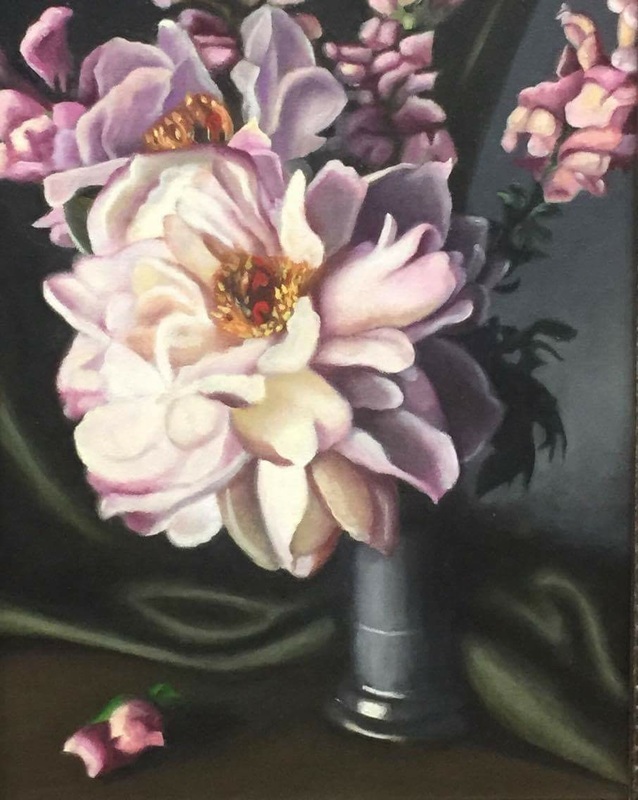 If you are interested in making an appointment to view Dianne's artwork during a different time than listed above, please email hastingsartscenter@gmail.com or call 651-437-4320 and leave a message. Thank you! Dedicated to the creation and performance of new works for saxophone quartet, ANCIA works in collaboration with composers to premiere, perform, and record the music of our time. The group’s passion for contemporary music pervades its critically heralded CD “Short Stories,” which features the title work by Pulitzer Prize-winning composer Jennifer Higdon. 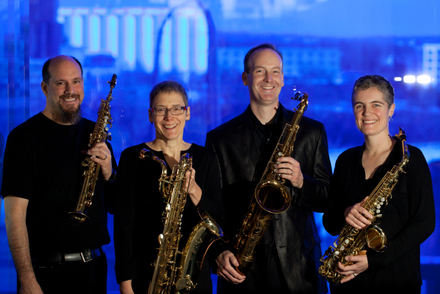 In 2015, ANCIA commissioned and performed the world premiere of Libby Larsen’s saxophone quartet, Confluence, at the World Saxophone Congress XVII in Strasbourg, France and presented the United States premiere in the Twin Cities in May, 2016. To celebrate and discuss this exciting new work and its environmental theme, ANCIA was brought in-studio at Performance Today for a special Earth Day radio and online feature, including an interview with Fred Child and live performances. ANCIA is frequently featured on National Public Radio’s Performance Today, Minnesota Public Radio’s Regional Spotlight, and Wisconsin Public Radio’s Live at the Chazen. Recent concert highlights include the Concrete and Grass Festival, the Twin Cities Winter Jazz Festival and “Rock the Ordway,” the opening concerts in the new hall at the Ordway Center for the Performing Arts. ANCIA has been featured in concerto performances performing Philip Glass’ Concerto for Saxophone Quartet with the Wayzata Symphony Orchestra, and William Bolcom’s Concerto Grosso with the Bloomington Symphony. ANCIA was recently featured in Chamber Music America’s national journal, Chamber Music Magazine. 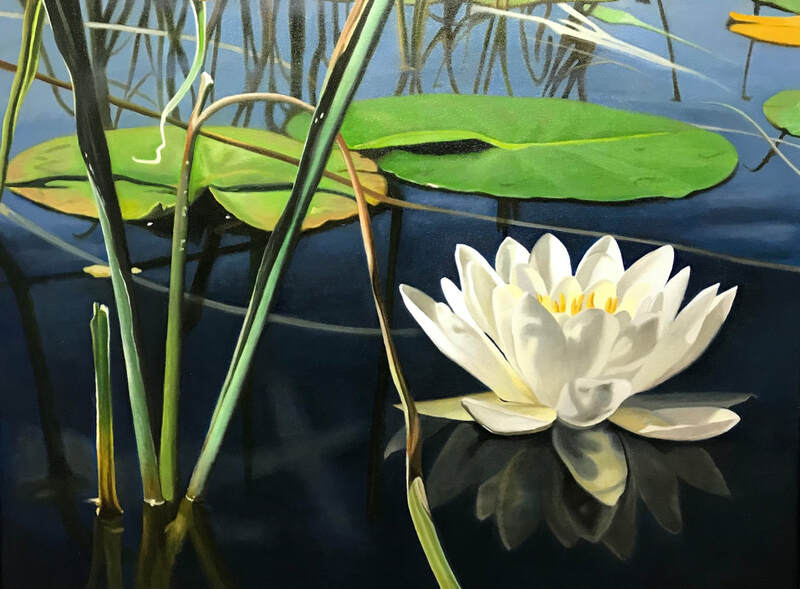 ANCIA has been the recipient of numerous national, regional, and local grants and awards, including recent awards from the Minnesota Arts and Cultural Heritage Fund and Metropolitan Regional Arts Council Community Arts grants in 2012, 2013, 2014, and 2015. ANCIA has collaborated with composers through Society of Composers, Meet the Composer, American Composers Forum, and THE Commission Project. 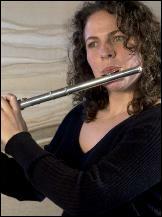 Rebecca Kuehl: Bachelor of Music in Flute Performance, University of Minnesota; student of Immanuel Davis; Master of Music in Flute Performance and Professional Artist diploma in Flute Performance at Mannes. The New School of Music; student of Keith Underwood; Music Scholarship, University of Minnesota and Mannes, The New School of Music; Performances with Duluth Symphony Orchestra, University of Minnesota Symphony Orchestra, principal flute with Mannes Conservatory Orchestra in Carnegie Hall; Teaching experience: University of Minnesota, St. Joseph’s School of Music, St. Paul, Minnesota; also training in the Alexander Technique at Sweetbriar and the International Congress on the Alexander Technique, Lugano, Switzerland. Popular jazz club performer Arne Fogel and cabaret singer Jennifer Eckes (a native of Hastings, MN!) pay tribute to the powerhouse team of composer Burt Bacharach and lyricist Hal David, who produced some of the best-selling pop songs of the 20th century. This special concert will include blockbuster singles such as "(They Long to Be) Close to You", "Raindrops Keep Fallin' on my Head", "I Say a Little Prayer", and many more! 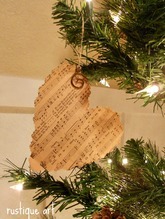 Chamber music of a different color that grabs your ear as the ink dries and sends you out the door humming a new tune! TICKETS: Online ticket sales have ended. $20 at the door. $10 student rate tickets available with the purchase of a previously ordered online admission or at-door admission. David Youngren has been involved in art and design ever since he was a young boy growing up just a few blocks from downtown Hastings. Besides acrylic painting, David also enjoys watercolor and pen and ink. 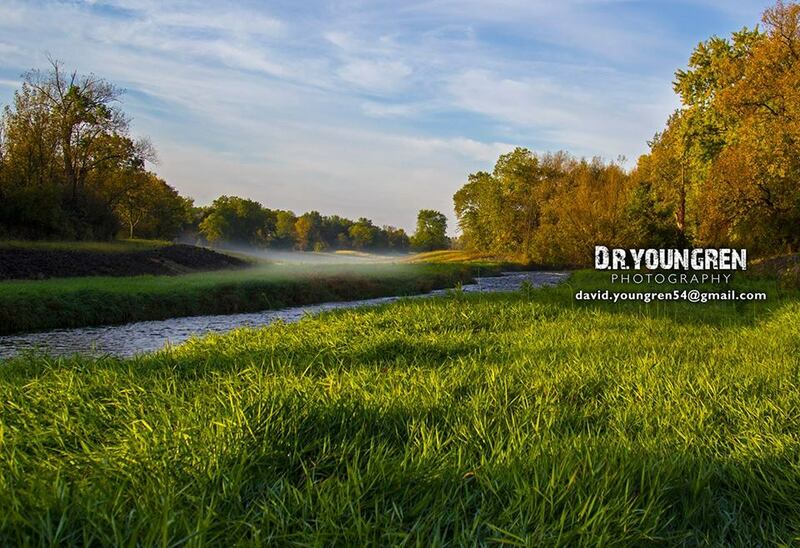 In his spare time you will usually find him flyfishing, taking pictures, canoeing or gardening. 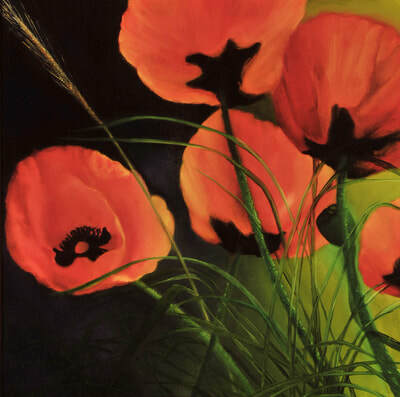 Some of his most popular works are two murals that can be found on the side of RJ's Bar and Grill and inside the American Legion. Most recently David just finished a four-year project recording and photographing the destruction of the old high bridge and the construction of the new arches bridge. His new book "Our Bend in the River" can be found in local stores. FREE "Coxmen Can Coozie" at the door with each paid admission! The Coxmen will be doing a full-on evening of BLUEGRASS style tunes, some old favorites, some new tunes to premiere! Don't miss this event! Cash bar and concessions available! 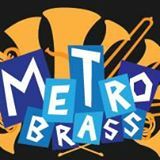 Join one of the Twin Cities' most exciting brass ensembles for your favorite music from Broadway, television, and the movies. This concert is a featured concert on our season pass. Mozart Violin Sonata No. 18 in G major, mvt. The Hastings Wedding Gala, hosted by Hastings' local business The Spoolhouse, is an annual event held in January to give brides the opportunity to get acquainted with wedding related businesses in our area. It is a vendor** showcase for reception venues, florists, photographers, tuxedo rental, bridal shops, DJ's and many other bridal services. We invite you to visit with our wedding experts in January about your upcoming event. **Vendors, if you are interested in participating, please follow the link below. ONLINE TICKET SALES HAVE ENDED. Tickets are still available for $25 at the door TONIGHT! We are excited to have Tyler return to the Hastings Arts Center stage! About Tyler Burkum...A study in contrasts, smooth, organic vocals with a pop sensibility, offset by instrumentation and arrangement harkening a bygone era, the music of Tyler Burkum speaks to both new and old in one fresh breath. A native of Minneapolis, MN, Tyler's music speaks truthfully and without frills of his life, love, family, and home. The songwriting and composition Burkum displays are reminiscent of when folk, blues, rock n' roll, and soul were one. Recently touring as lead guitarist and backing vocals for Columbia recording artist Mat Kearney, Tyler continued to mold songs of his own during free time. Growing up in a musical family, lakeside in Minnesota, Tyler's education in the art began at a very young age. Influenced by songs from church, piano lessons, and his father's guitar and record collection, Tyler's longing to write and play were evident. Receiving his first guitar at age eleven, it wasn't long before Tyler was playing along with all his favorite records and beginning to write some of his own. The music he enjoyed playing, and quotes as his most prominent influences, The Beatles, Neil Young, Bob Dylan, Paul Simon and Jayhawks, were honest, raw, and transcended mere words and melodies. At the age of 17, Tyler moved to Nashville, TN to join Audio Adrenaline. Spanning a period of ten years, Tyler toured the world, garnering two GRAMMY Awards, three Dove Awards, and two ASCAP awards. He also penned several No. 1 singles for the group over the span of seven studio recordings. Tyler's solo style is miles away from that of Audio Adrenaline, but the experiences and friendships created only furthered his drive for projects of his own. Since leaving Audio Adrenaline, Tyler has made several national appearances, including Late Night, The Tonight Show, The Late Late Show, Ellen, and AOL Sessions with Columbia recording artist Mat Kearney. Studio sessions with various artists and some brief touring work with independent artist Wild Sweet Orange, including their SXSW debut, have also filled the time between recording Burkum's own work. The past twelve years of Tyler Burkum's journey have taught, molded, and finally brought him back where he always wanted to be - home. A raw, earnest collection of one man's story set to an intricate yet surprisingly accessible musical backdrop, Darling Maybe Someday is now. Hear Tyler on a song off of his album "Darling, Maybe Someday"
​Composed invites you into the world of professional classical music, for an exploration of the many causes of and solutions for performance anxiety. This feature documentary brings together dozens of professionals from prestigious orchestras, symphonies, and music schools to discuss their personal journeys, and consider how best to achieve excellence in the face of enormous pressure. Composed finally confirms what so many of us have always secretly wondered – no, it’s not just you who has experienced the physical and mental agonies of performance anxiety, and yes, there are many ways to overcome the symptoms and deliver peak auditions and performances. Join the conversation today. "The film ‘ Composed’ addresses the topic of performance anxiety in a comprehensive and approachable way. The story-telling and personal narratives woven throughout the film showcase how this topic impacts nearly every musician, as well as suggests a variety of individual and different strategies to help overcome the issue. Most importantly, this film begins a public conversation around a topic that has too often been buried from artistic practice. This film should be required viewing at every music school!" Join us for a screening of this amazing film and a discussion afterword. Donations will be accepted to defray the cost of the showing. 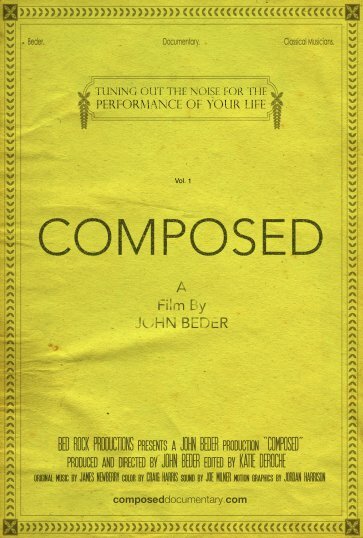 Learn more about this work by John Beder at Composed. Come gather as a community to sing traditional Christmas songs and warm your spirits during this most wonderful time of the year! HEY KIDS, WE NEED YOU!!! Children Kindergarten through 8th grade are encouraged to participate in this community event. ​James Dutton makes a Brexit to the US bringing his colorful flute as well as his pomp and circumstance to Hastings, MN. Join us this evening for a delightful treat from across the waters. James was born in Marlow, England and studied flute at the Royal College of Music in London. During his time at the RCM, he won prizes for orchestral, solo and chamber music performances. He has also been awarded two Worshipful Company of Musicians' Silver Medals, and a Fellowship in Flute Performance from Trinity College London. In 1995 he was a Park Lane Group Young Artist, giving his London recital debut at the Purcell Room, including the world premiere of "The Colour of Pomegranates", written for him by the leading British composer Julian Anderson. In 1997 he was appointed principal flute of the Band of the Scots Guards in London. He has appeared with them as a soloist in concerts all over the UK and further afield. Performances have included solo appearances at the Royal Albert Hall, Cadogan Hall, the Beaulieu-sur-Mer music festival, a concert tour of major cities across Australia, and alongside artists such as violinist Nicola Benedetti and tenor Ian Bostridge. 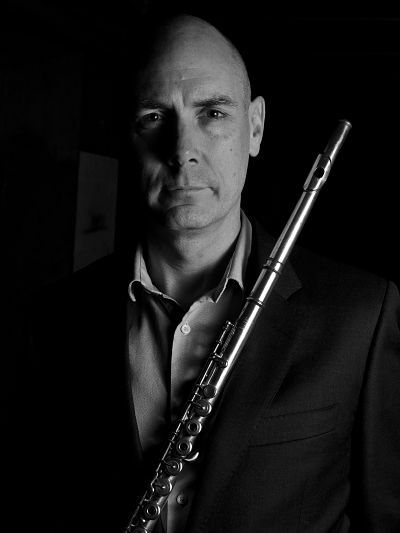 He has also been principal flute of the Showbiz Pops Orchestra, CAMus Sinfonietta, Cygnus Orchestra of London, L'Anima di Musica and the Perspectives Ensemble. He has recently been appointed co-principal flute of the London Military Band. Over the last twenty years he has appeared in numerous recitals in venues across London as a soloist and chamber musician. He also appears on many recordings both with his own band and as a guest performer, and has given live radio and TV broadcasts. He is delighted to have been invited to give recitals and a masterclass as a guest of the University of Wisconsin-River Falls this winter, marking his debut as a solo artist in the USA. Free-will cash only donations accepted. SONGS AND THANKSGIVING: A musical celebration performed on instruments made by Charles Elliott. ​Charles Elliott made almost 100 string instruments in the 1920’s and 1930’s in Kent, Ohio. A few of the instruments have been handed down through the Elliott family. Two relatives, great, great, great nieces, Mary Ellen and Sarah Fox will be joined by their friends Margaret Cox and Lucas Ussatis for an hour long concert showcasing a wide variety of music on two violins, a viola, and a cello made by Charles Elliott. Tax-deductible contributions will be accepted. Checks payable to “Social Good” will benefit the Hastings Arts Center Steinway piano. This wonderful ensemble will appear once again to play on classical instruments performing classical music ranging from the years 1750-1805. Peter Sheppard Skærved is the dedicatee of well over 200 works for solo violin, by composers such as George Rochberg, Judith Weir, Michael Finnissy, and Hans Werner Henze. He regularly appears as soloists in over 30 countries. His discography is extensive, ranging from cycles of sonatas by Beethoven and Telemann, the complete quartets of David Matthews, Michael Tippett, and cycles of concerti from Haydn to Henze. Peter will be performing as well as coaching local violin students in the Hastings Arts Center's main hall. Come down and hear a truly great violinist. 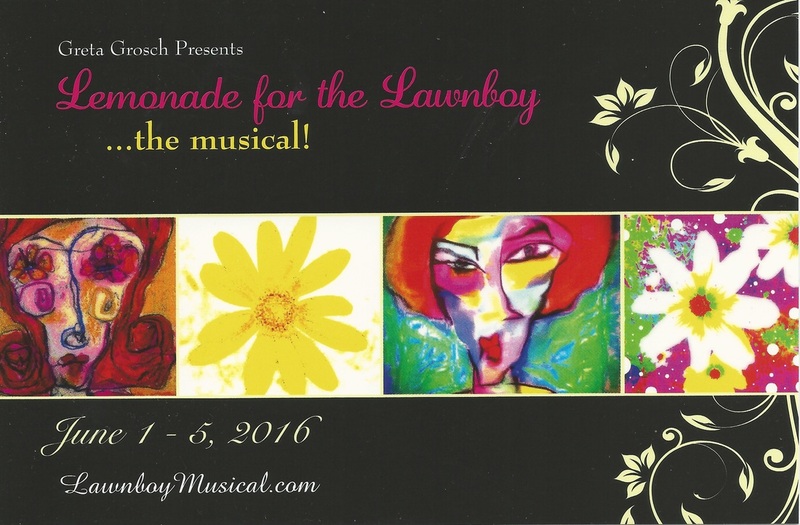 Donations will be accepted to support the St. Croix Valley Symphony Orchestra and the Blessings Academy of Arts and Music piano fund. Join us for an evening of Song and Poetry as we celebrate this Season of Thanksgiving. The concert is free, however, tax deductible donations to "Social Good" will be gladly accepted to support the Hastings Arts Center's recent purchase of the Steinway grand piano. Blessings Academy of Arts and Music perform! Come to this free Sunday afternoon concert that features local talent. Steinway Piano. Expect a night of eclectic music and a few SURPRISE GUESTS! Refreshments served and free-will donations will be gladly accepted! If you are unable to attend this event, please know you can still donate. ﻿Click here if you would like to contribute to the cost of the piano. Thank you for your support! Echofluxx Ensemble presents "Apropos of Not That"
"Apropos of Not That" was commissioned by Efemera of Prague for the Echofluxx 16 Festival of New Media, Music and Art, and premiered on May 4, 2016. The performance will feature Michael Croswell, electric guitar; Mary Garvie, voice and movement; Michael Karman, touch pad; Steve Goldstein, laptop; Maureen Koelsch and Georgia Stephens, movement; Randall Davidson, cello; David Means, turntable and digital horn; and Jon Spayde, narration. "Apropos of Not That" is a performance opera based on Michael Karman's novel of the same name. It weaves shifting layers of sound, image and narrative using opera recordings, processed voices, instruments, movement, projections, and electronics. Performers relate to each other through a highly controlled yet stubbornly independent improvisational system describing a day in the lives of two women who journey into a sonic labyrinth of language itself. 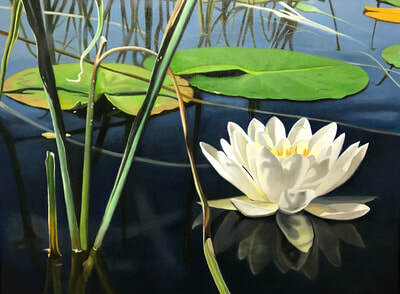 This exhibit features works by Twin Cities artists Dyan Padgett and Carrie C S Kleinberger. 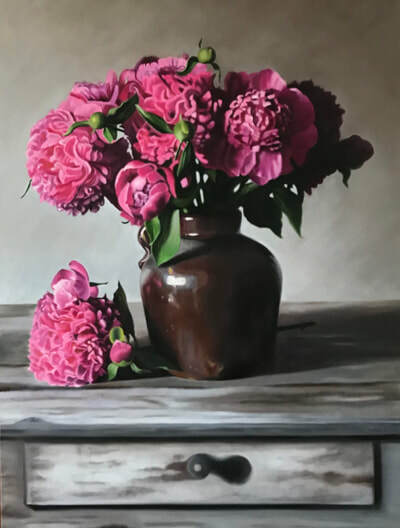 Come see landscapes, portraits, still lifes and imaginative realist pieces. 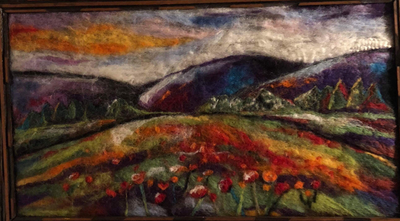 Most works on exhibit are available for purchase. Please inquire at the arts center if interested. After spending time at the car show, why not come and cool off while listening to some cool jazz! After going to the Downtown Cruise-In, come get cooled off at this toe-tapping concert by this great group of fun folks! Come hear these talented high school kids rock the arts center and also say farewell to some members who are graduating and will be pursuing further endeavors. David displayed his work at the center during the run of "Lemonade for the Lawnboy". Fortunately he left a few things on the walls to bring the center to life. 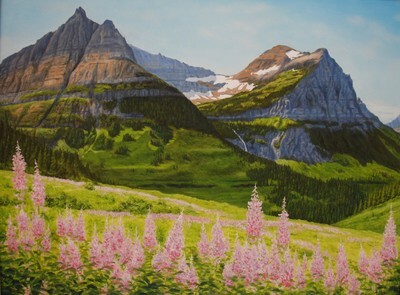 More of David's work can be seen at Breakaway Arts-111 E. 3rd Street, Hastings. A Minnesota native, Singer-Songwriter Annie Fitzgerald has been noted for her ability to empathize with the listener with her remarkable knack for writing songs that stick with you long after they’ve last played. Combining the most beloved attributes of fellow Folk-Americana Singer-Songwriters like Patty Griffin and Shawn Colvin, Fitzgerald’s guitar-based songs and performances are a constant paradox of the striking and the subtle. Already heralded as an artist to watch by the Songwriter’s Hall of Fame with just two records released to date, she is making her mark with a simple perspective and an irresistible style. After 10 years living in NYC, she and her family have relocated back to her roots to be close to family as they raise their young son. They’re enjoying their new-found sense of Minnesota space and freedom, and a new album is in the works. The gifted musicians Mark Keating (http://www.markkeatingmusic.com/) and Ben Woolman (http://benwoolman.net/) will be joining Annie for an evening of original songs and some favorite covers. More information about Annie as and her music can be found at www.anniefitzgerald.com. Join in with Tim May and Gretchen Priest-May as they conduct workshops in bluegrass guitar and fiddle during the week. Attend the end of week event with a collaborative concert as Tim and Gretchen join up with the St. Croix Valley Symphony showcasing the influence of our musical roots on Classical repertoire. Bluegrass music is a the result of great ideas and gradual change. In the 1940s, bluegrass founder Bill Monroe re-orchestrated several strands of traditional music into a new form. Bluegrass was one of the items that changed during the 1960s and it's happening again in our time. Phil Nusbaum is an Indiana University folklorist who has written about bluegrass music and produces the weekly, syndicated radio show, ﻿The Bluegrass Review﻿. Join Tony for an evening full of heart-wrenching acoustic ballads, original songs, and *various eclectic interpretations of the 1974 Barry Manilow classic, "Mandy". Tony will be taking requests in exchange for a modest donation to the Hastings Arts Center. There will also be a silent auction in which bidders will bid on Tony to perform a song he doesn't know very well and may sound ridiculous on acoustic guitar. This may very well embarrass him significantly. Something like ... oh, I don't know ... Beyonce's "Single Ladies" or something. 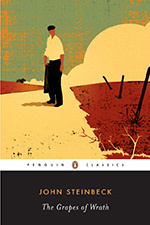 As part of The Big Read in the St. Croix Valley, St. Croix Festival Theatre is bringing a scene from their production of "The Grapes of Wrath," adapted by Frank Galati from the novel by John Steinbeck, to Hastings. Festival Theatre's actors will perform the first scene of the play depicting the Joad family's hopefulness for the journey from the family farm in Oklahoma to California in search of work. This FREE public performance will be followed by a Q&A session. This event is being co-hosted by Pleasant Hill Public Library (Hastings) and Hastings Prescott Area Arts Council. Looking for something to complete your Valentine's Day celebrations? 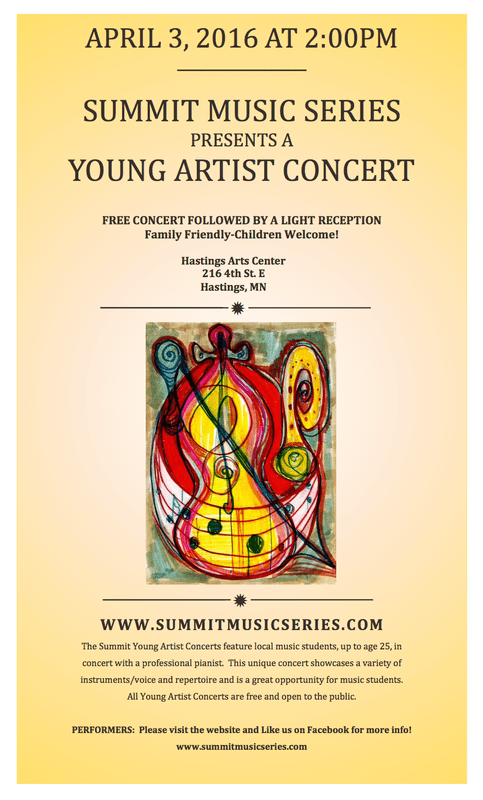 Why not come to a great concert at the Hastings Arts Center. Listen to Tyler play some of his songs ﻿Carry You with Me and End of the Road. "An Anniversary Celebration---five years of building community through music"
Jim Falbo's concerts fuse classical and romantic music with many other styles and genres. Jim selects a wide array of pieces in concerts from his vast repertoire, including Latin, Spanish, and contemporary pieces on classical and acoustic guitar. 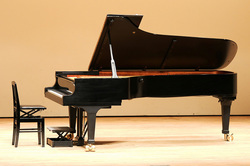 His programs are a bit different than the norm for a classical music concert, as he favors playing many shorter tunes over long suites of music. His performances keep audiences and music lovers engaged with a style and technical ability that is lyrical and virtuosic from beginning to end. On any given night you might hear J.S. Bach, and Mozart pieces played next to upbeat Brazilian and South American tunes with contemporary artists like Eric Clapton, and the Beatles. Jim's concerts simply have something for everyone. Classical Minnesota Public Radio host Steve Staruch describes Jim Falbo as "A true master...someone who has the chops to caress the listener into a seductive and gorgeous sound world." Jim Falbo began playing guitar at the age of 11 after growing up adoring Led Zeppelin, Eric Clapton, and 90's alternative music. His love for classical guitar came into fruition when his acclaimed guitar teacher Dean Harrington encouraged him to the technically challenging music of J.S. Bach and Agustin Barrios. 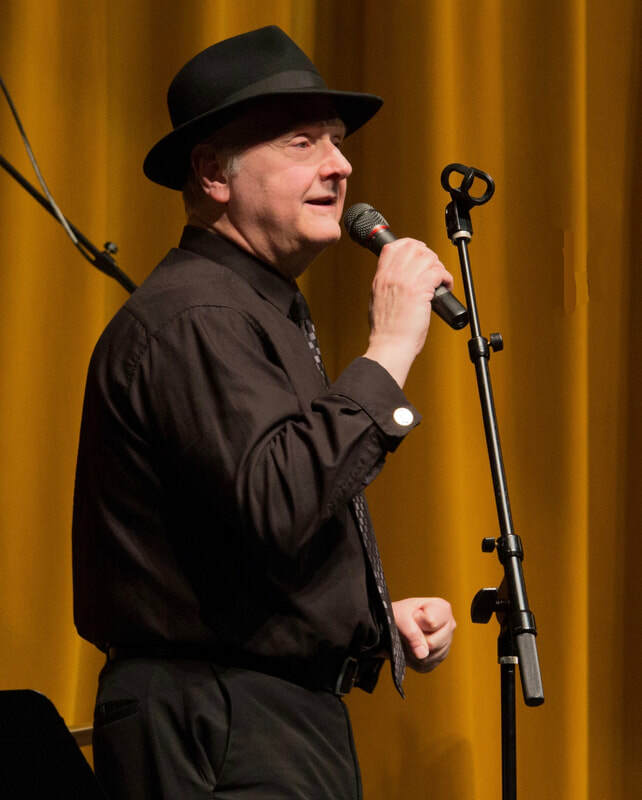 Jim is a high-demand performer in various events throughout the Twin Cities, and upper midwest. He has put on a series of highly successful concerts at the James J. Hill House, and was a stand out performer in several Minnesota Guitar Society events in the past several years. His latest album "Latin American Guitar Legends" has been featured throughout the airwaves of Minnesota on 99.5 Classical MPR.